Every pet owner has had to clean up a “bathroom emergency” for their pup. It’s simply a fact of life.  But if your pooch has a sensitive stomach, or you regularly deal with a dog upset stomach, there’s something on your local grocery store shelf that could help quite a bit. 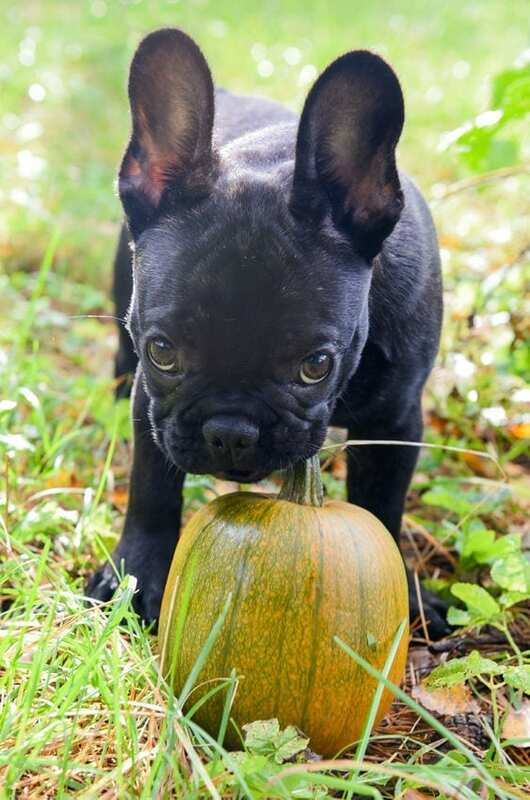 Canned pumpkin can soothe your pet’s tummy and help get them back to normal. Here’s some information on why dogs sometimes have stomach issues, and how pumpkin can get their digestive systems working as they should. It’s important to know exactly why your dog is suffering from diarrhea. If it only happens every once in a while, then he or she probably only has a mild upset stomach. You shouldn’t have much to worry about. But if it happens regularly, then you should find out what’s going on, and do something about it. There are a lot of reasons why a dog will have a diarrhea attack. Thankfully, it’s usually something relatively minor. But there are times where diarrhea can be the result of something serious. 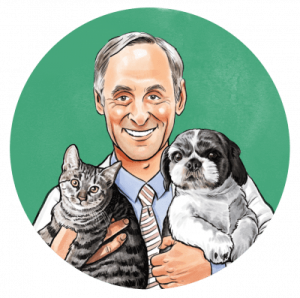 If, on the other hand, the diarrhea is bloody, or if your dog has attacks on a regular basis, get them your vet and see what the problem is … so that it can be treated. 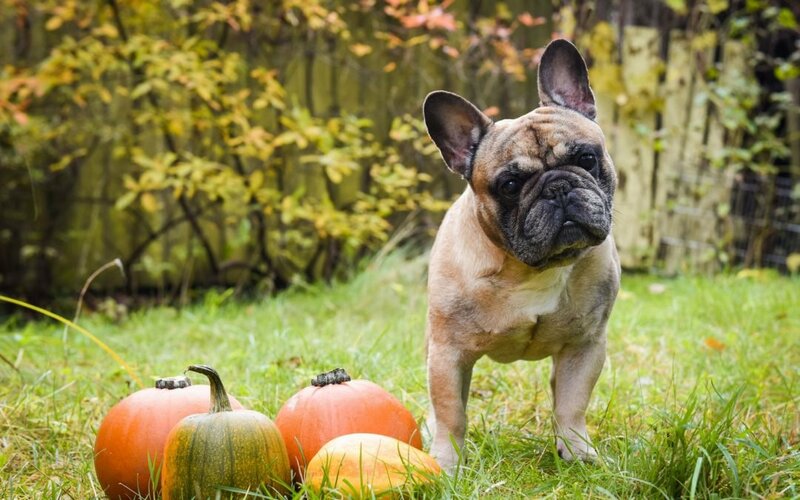 What Kind of Pumpkin and How Much Should I Give My Dog? Also, it’s an unfortunate fact that canned pumpkin can spoil rather quickly once you open it. 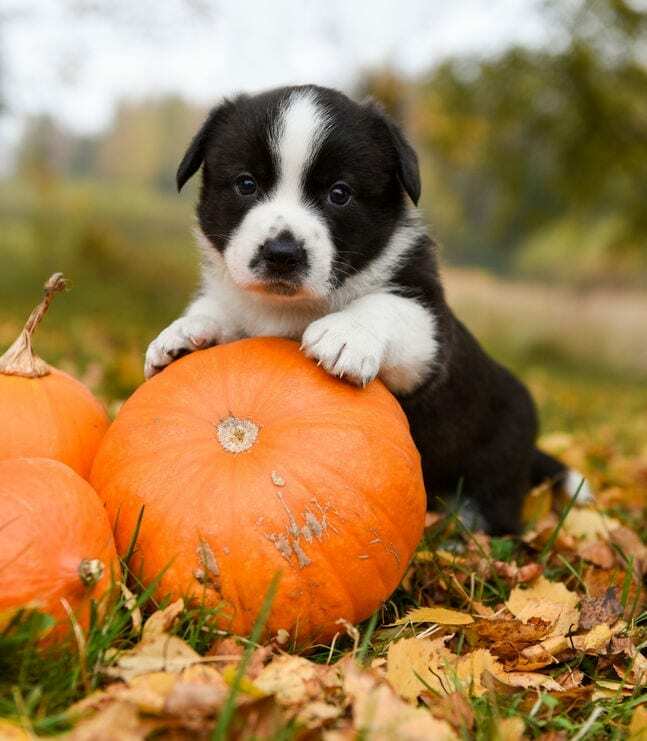 If you choose to keep the pumpkin in your refrigerator after giving it to your dog, always check it carefully before giving it to him or her again. At best, canned pumpkin lasts a matter of days in the fridge once it’s opened. 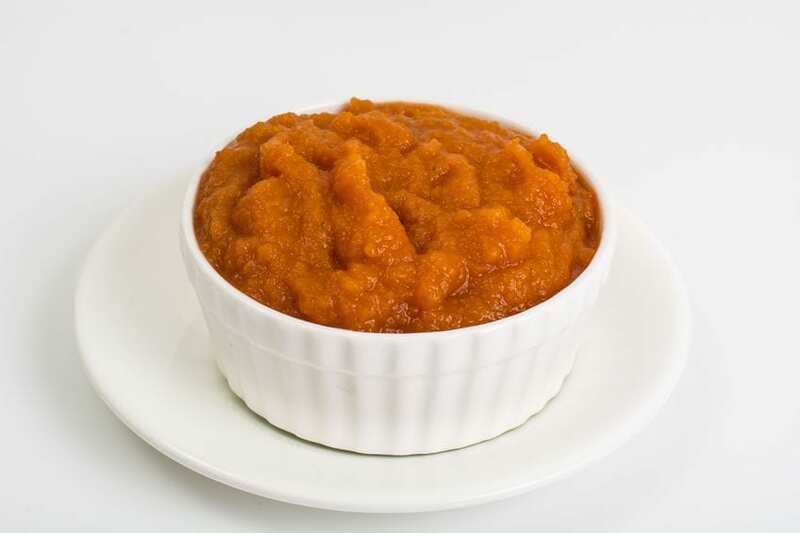 Consider scooping the unused pumpkin in an ice tray and keeping it in the freezer. You can take out a block and give it to your dog once it thaws. What About Pumpkin for Constipation? A bland diet could also help if your pooch has tummy troubles. Give your pup boiled chicken with some rice or something else that your veterinarian recommends.8 Rice and chicken are found in many types of dog food, but you can make this staple of a bland diet very easily at home. Just make sure you only use plain, unseasoned chicken. You don’t want to give your dog anything that could make their stomach more upset. Simply cut the chicken into small pieces once it’s thoroughly cooked, and then add whatever amount of rice your vet advises. Do this for a week or two until symptoms subside. If you noticed that your dog’s upset stomach is rumbling or making a gurgling sound, you can read about those stomach gurgling causes here. Again, if your furry friend only has diarrhea every once in a while, that shouldn’t be a cause for concern. On the other hand, if your pet has stomach problems on a regular basis, that’s when you need to get him to the vet. Your veterinarian might recommend that you avoid foods that could be contributing to the problem. Your vet’s advice will likely help get your best buddy on the road to feeling better and spry again in no time!